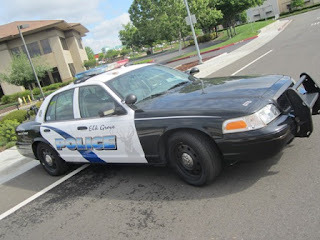 Two men in their 20's were arrested in Elk Grove Monday morning on suspicion of an attempted residential burglary. At 10:15 Elk Grove Police were dispatched to the 7100 block of Cordially Way in the Civic Center neighborhood regarding an attempted burglary that had just occurred. The person reporting the incident provided a description of the two suspects. Responding officers located and detained two men, 21-year old Malik Thomas, and 24-year old Tepolo M. Conner. Both suspects were arrested for attempted burglary, conspiracy, and possession of burglary tools. Conner was also charged with violation of parole. Conner and Thomas are both held on a $1 million bail, but Conner is not eligible for release. Arraignment is scheduled for Wednesday, October 5.